Several Caribbean countries unable to sight the new moon on Saturday 18th August due to cloudy conditions over most of the region took the confirmed reports of moon sighting from the tiny island of Grenada to end the blessed month of Ramadan and commence Eid-ul-Fitr celebrations. Majority of the Muslims in the region had started Ramadan a day after Saudi Arabia and those who followed them and so were on the 30th night of Ramadan last Saturday when at sunset the crescent moon was unable to be seen in many islands due to significant cloud coverage, remnants of passing tropical systems. Convinced that the moon would be visible that night as New Zealand had confirmed sighting some 16 hours before Muslim communities in several islands frantically called each other to find out whether there were any confirmed sightings in the region. In the end Grenada, Guyana and Suriname were the ones bringing the glad tidings of moon sighted and Eid-ul-Fitr beginning in the region to join most of the rest of the Muslim world in celebrations. Majority of the islands of the Caribbean now have a Muslim presence and each community strives to fulfill their religious duties and obligations. Relying on the bigger islands and communities for direction and guidance has long been entrenched in these small communities and when issues of the start and end of Ramadan come up these communities will generally looked to each other for information. 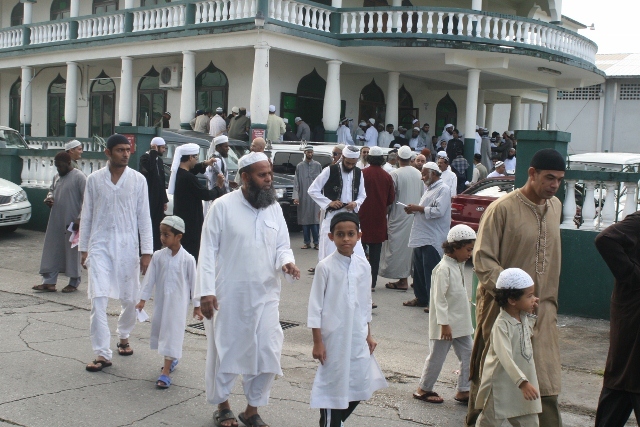 In Barbados the 2000 strong Muslim community accepted the sighting of Grenada’s Muslims and began their observance of Eid-ul-Fitr. Eid prayers were held early Sunday morning at the three masajid while two public venues hosted Eid salaat and activities. In traditional fashion male Muslims made their way to the cemeteries, specially opened to accommodate the visitors, after the Eid salaat and prayed for the deceased family, relatives and friends. After that Muslims gathered with their family and friends at their respective homes to exchange greetings, gifts and shared in festive meals specially prepared for the occasion. A special Eid-ul-Fitr supplement carried in one of the daily newspapers, the Daily Nation, also helped in providing information on the festival and on Islam and Muslims. 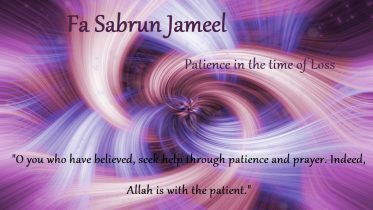 Be the first to comment on "Ramadan and Eid ul Fitr in Barbados"